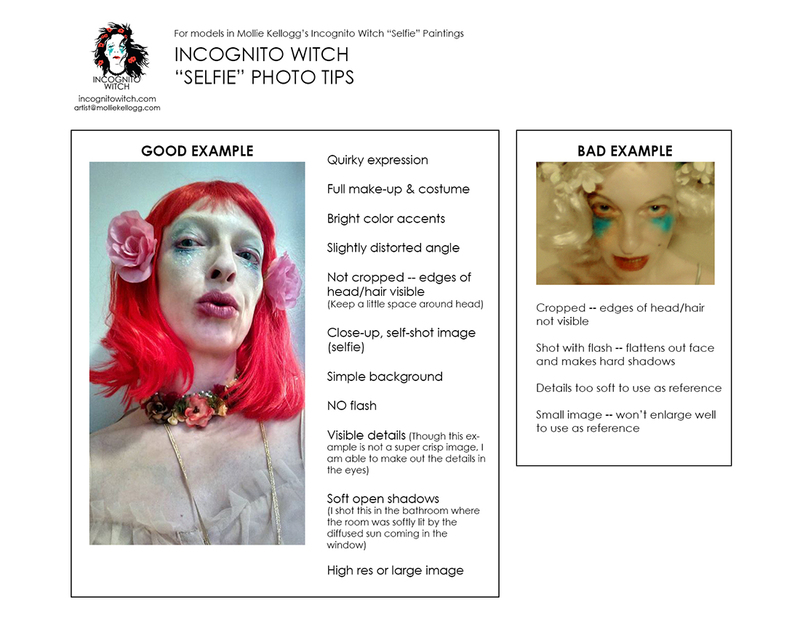 Mollie Kellogg: Calling All Incognito Witches: Submit Your Selfies! - Let your inner magick shine! 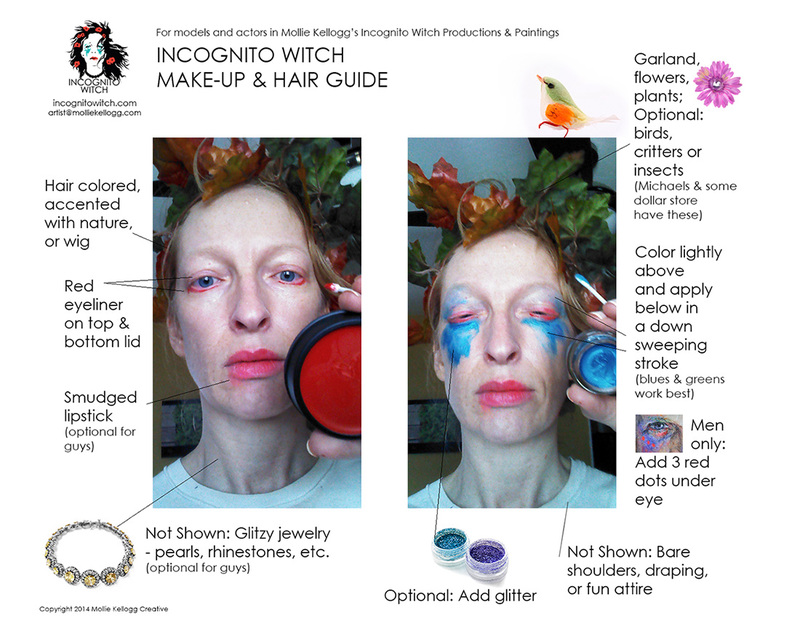 Calling All Incognito Witches: Submit Your Selfies! Let your inner magick shine! WANNA PLAY? See the Submitted Selfies of your sister and brother Incognito's below! One or more of your photos will be posted below! *A signed Model Release must be emailed along with hi-res photos before images will be posted on www.gingeranxiety.com or painted. Mollie Kellogg Creative reserves the right to end this submission process without notice. Inappropriate images or photos not adhering to the guidelines will not be posted. The traditional Incognito Witch "Inner Portrait" allows the viewer access inside the subject's hidden psyche. Models for these paintings are staged and shot per sketches or concept. The figure holds an item that has meaning to them, to Mollie, or is symbolic; the figure is draped or n*de. Mollie documented her characters via Selfies on Facebook. And, it turns out, Selfies are a perfect vehicle for all the folks who wanted to participate in the Project by taking matters into their own hands. Participants are going beyond solo selfie-taking and are sharing the experience with friends and children. Others have thrown Inner Magick Selfie Parties, gathering for an evening of glitter and laughter!